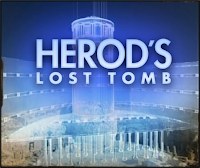 National Geographic has created a nice interactive website for their forthc oming special on Herod's tomb scheduled to air on November 23. The site has articles, pictures, and videos. Check it out here. What do You Require of Your Potential Elders?